Have you suffered a spinal cord injury? Attorney Vargas will fight for you as your spinal cord injury attorney in Rancho Cucamonga. The spinal cord is made up of millions of nerve fibers that carry information from your brain to the rest of your body and control both voluntary and involuntary movements and functions. Needless to say, any damage or trauma to these nerves can have serious health consequences. 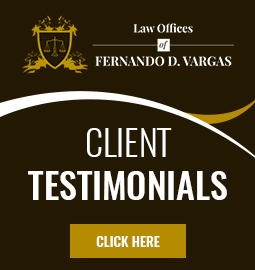 If you or a loved one have suffered a spinal cord injury in any of these kinds of accidents, or in any other incident related to someone else’s negligence, call Fernando D. Vargas immediately. He can help you seek compensation. Given the complexity of the spinal cord, even a minor injury can result in serious symptoms like numbness, tingling, or loss of grip strength. Major injuries can be absolutely devastating, potentially resulting in complete or partial paralysis. These kinds of serious symptoms will require extensive, costly medical treatment as well as significant amounts of compensation. If you want your rights and interests to be protected, you absolutely need to hire a spinal cord specialist like Fernando D. Vargas to represent you. After many years of experience and thousands of spinal cord injury cases, Attorney Vargas understands what you’re going through and how best to approach your case. He will not overlook any possible areas of compensation or underestimate your damages. Instead, he will use his contacts with relevant medical experts to make sure you receive an accurate diagnosis of your injuries, prognosis for your recovery, and estimate of the cost of future medical expenses. At The Law Offices of Fernando D. Vargas, we know that the aftermath of a spinal cord injury can be an extremely stressful time. You may be worried about how you’re going to make ends meet and afraid you can’t afford a quality spinal cord injury attorney. You’ll be relieved to know that anyone can afford to hire Fernando D. Vargas. He offers no-risk representation to individuals with valid legal grounds for spinal cord injury claims. You will not be asked to pay anything upfront; instead, you will only have to pay after Attorney Vargas wins your case and you receive your compensation. If you have questions about hiring Fernando D. Vargas as your spinal cord injury attorney in Rancho Cucamonga, please call us at 877-982-0707 any time 24/7. We’ll be happy to set up a free consultation with Attorney Vargas at the earliest possible opportunity.